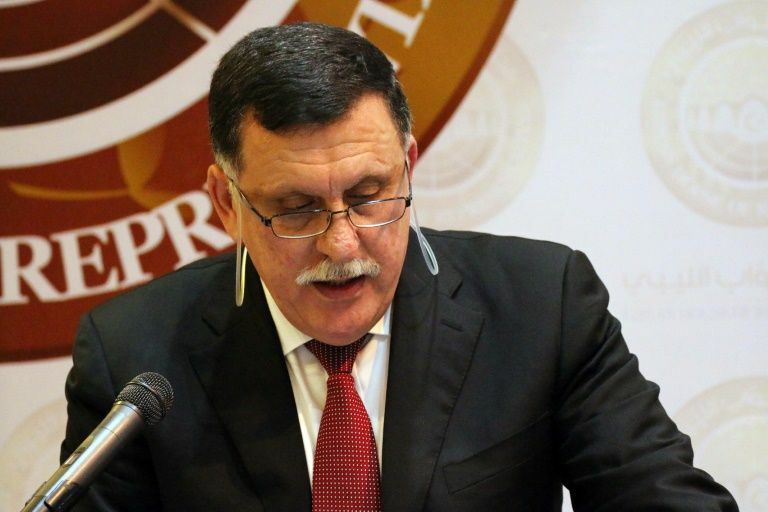 Head of the Libyan Government of National Accord (GNA) and Presidency Council (PC) Faiez Serraj Monday escaped assassination attempt as his motorcade underwent gun fires in capital Tripoli. Serraj, according to local media reports, was travelling with Head of the State Council (SC) Abdulrahman Sewehli and the head of the Presidential Guard Najmi Nakoa. It has been unclear who fired at the convoy. One press report said a black Toyota Cruiser with two passengers drew near the motorcade and opened fire. Another report emanating from the State Council media office indicated that the firing came from “the armed groups based in the (Rixos) Palaces” area of Tripoli, Libya Herald reported. The SC media said two guards have been injured in the attack. The GNA media office has debunked the claim. The Rixos Palaces were the headquarters of the Salvation government led by Khalifa Ghwell, the former Tripoli strong man. Serraj’s PC installed in Tripoli since March but has been unable to hammer home its authority. While the PC is struggling to cooperate with rival east-based government supported by Field Marshall Khalifa Haftar, it is facing resistance from Khalifa Ghwell who still controls a group of militiamen in Tripoli. Ghwell, still opposed to the PC, has already tried to topple the GNA and seize government buildings, but his two attempts failed. Head of the State Council Abdulrahman Sewehli later on Monday issued a statement accusing Ghwell for directing the failed assassination attempt, Libya Herald further notes. The motorcade was reportedly attacked on Serraj’s way back from the inauguration of the Central Investigation Department in Drebi. Written by: Jaber Ali on February 21, 2017. Posted by Jaber Ali on Feb 21 2017. Filed under Headlines, World News. You can follow any responses to this entry through the RSS 2.0. Both comments and pings are currently closed.